Yay! 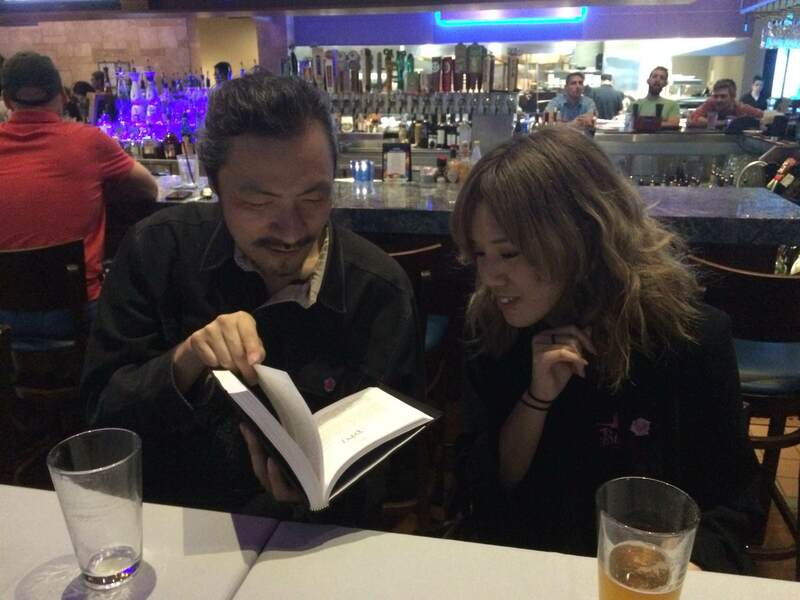 More discussions on Lore and all things esoteric! I actually see a lot of overlap with games and history, mysticism. Legends and games go hand in hand to me. Dark Souls does a great job of this, Anor Londo and Il Duomo, Domhnall and Henry VIII, Lost Izalith and Angkor Wat. I was excited to learn the Voynich Manuscript has had a breakthrough in translating it. Kinda ruins the mystery for it, but still. Miriam's crystals were embedded, but that's not what she's selling. She is selling the shards which get bound to the crystals. Somehow she must be able to remove the shards from the crystals to sell them off. It sounds like just a game mechanic, but I find it untidy that I can't have some reason for it in the game world. I wonder when states government will publish some of Tesla's late works. Crazy how so many physicists and mathmeticians ended up on Alchemy. I don't think there is any difference between shards and crystals. Additionally, we don't know how metaphysical the shard is cause the shard you get in the demo has higher volume than Miriam when combined and the boss shards clearly has the same size yet arguably more potent. As for Dominique, the church likely knows some form of ritual to remove the shards, your conventional exercoism per say, to purge demonic essence from someone. Besides, Johannes clearly understand how to enhance them. Oh? News to me, but great to know! One source claims it's Turkish. The one on herbs makes sense contextually. This however also removes all mythical aspect of Astronomy part, however, claiming it's a Calender. The other less trust worthy especially being AI translated which says it's in Hebrew but talks about Egyptian religion in the first page (considering Moses eradicated all Hebrew practicer who don't follow Judaism and that these things are typically written on stone tablets, this suggest time tracing back to the considerably earlier time of Egyptian empire), which the page wouldn't have survived nor would it be this colorful. Edit: Got confused between Ra and El there. Voynich remains quite still a mystery. When a 'breakthrough' is claimed after exhausted translators turned to 'Google Translate', we're far from there. 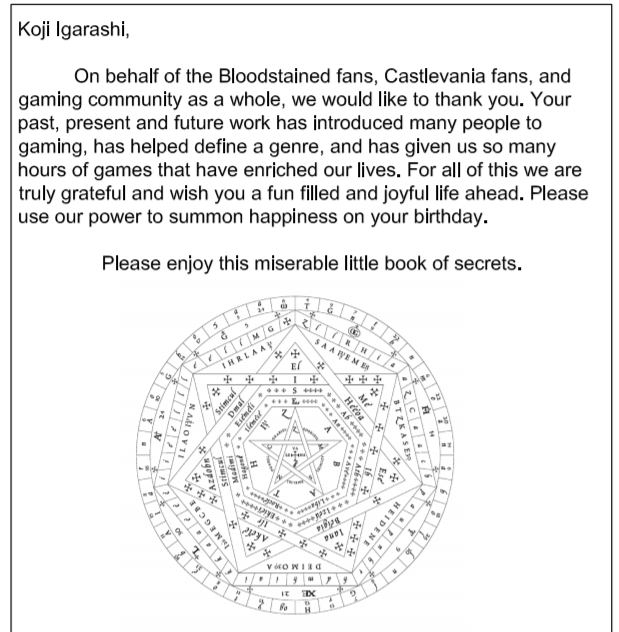 Curiously, encoded grimoires aren't an unheard of thing. Perhaps the most invincible would be the book cypher where without the 'key' book supplying the letter substitution, it's more or less impossible to crack. The 'anagrammatic' structure claimed makes me wonder if this is the case; that the cypher may be layered. If it *is* the case, translation will be impossible until the key is found. Let's move on to alchemy. Alchemy, astrology, and the magical ritual actually have zero separation. The difference in term merely references the methods and 'tools' used, but the goal is quite the same as underlined in the Corpus Hermeticum and the Asclepius (become the equal of God; this does not reference the Abrahamic God, but rather the henotheistic God of Plato). The various 'stages' or 'phases' of the operation of alchemy are well documented in beautiful, symbolic imagery that also serves as an interesting allegory of divine creation. However, despite the plainly scientific roots of alchemy, what typifies such practices of the Renaissance is the utilization of rational means to approach irrational ends. Alchemy utilizes the carefully codified materials of the world to duplicate the powers of God to enact divine ascension (easily corroded lead into incorruptible gold). Astrology utilizes the careful examination of the movement of the stars to map the mind of god via observations painstakingly recorded over thousands of years. Magic is the utilization of the symbology of the movement of the heavens and the materials of nature to communicate with the entities tasked with overseeing their role in nature in order to obtain the knowledge of God for the benefit of Man (whether the community or the individual). My good friend Khem Caigan is a traditional alchemist who works with lead, mercury, gold and the like. What it amounts to is a great deal of patient work that admits the operation is impossible without the miraculous influence of divine agency to bring about the unlikely (not impossible) 'uplifting' of the substance. The ultimate goal, as detailed in the Sefer Raziel Ha'Malakh (more or less the root text of all Western magic), is to 'angelify'. This leads us to why Enochian is called 'Enochian'. Enoch was uplifted by God from his human form into Metatron, the angel who is sometimes interpreted as the equal of God (with the counterpart of Elijah who was uplifted to Sandalfon), or 'one step down', depending on the source. The attempt to duplicate Enoch's feat of ascension is the goal of the magus. This leads us back to the Liber Loagaeth. While not an alchemical text, per se, the 49 (or 50) Gates of Understanding are referenced here. In Kabbalistic texts, to pass through all the gates is to obtain the knowledge of God. The number is reduced usually as a reference to either humility or the outright impossibility of Man to attain such achievement. Does any of that make sense to anyone? Voynich remains quite still a mystery. When a 'breakthrough' is claimed after exhausted translators turned to 'Google Translate', we're far from there. Curiously, encoded grimoires aren't an unheard of thing. Perhaps the most invincible would be the book cypher where without the 'key' book supplying the letter substitution, it's more or less impossible to crack. The claimed 'anagrammatic' structure claimed makes me wonder if this is the case; that the cypher may be layered. If it *is* the case, translation will be impossible until the key is found. So at initial stage the more Chemistry like Alchemy is used to create elevated substance to use as metaphysical nodes which can be then used ritualisticly, to which ultalize the information gained from Astrology to peek into divinity to complete ascension? Unfortunately, not so simple, yulia11. The whole of the thing is communication. Each 'part' of the operation is laden with nested correspondences such as the four elements/seasons/humors/triplicities of the zodiac, etc. Every ounce of every esoteric operation is filled with the classical definition of layered innuendo. The concept of the 'Renaissance Man' is a man who is learned in all things. Giordano Bruno, one such fellow, found it easier and conservative of expensive paper to record his thoughts in smallish symbols that bear meaning only for him. In the context of Tibetan Buddhism (which bears immense resemblance to Western magical practice as well as Kabbalistic ecstatic meditation), the vowel sounds a yogin chants are extensively networked mnemonics that immediately call to mind in a highly visual and interactive way the thousands of pages of text memorized on a daily basis since childhood. The answer is: everything at once as much as possible with contingencies and backup plans. Folks just have no scope of the level of profound thought the greatest of Renaissance magi (such as Dee and Kelley) were capable of. I know how much knowledge is required for Alchemy, and my description is less than detailed. Mysticism, Natural science, mathematics, theology, philosophy and so much more. Heck I give up AI to pursue physics in hope of messing with Alchemy. I am still not sure the exact purpose of Incantation, gestures and yoga's effect since the spiritual effect is achievable with the mind alone. Not that it won't help immensely but able to do other things while your mind does these things is a huge boon. In Chinese medicine, there exist an extra body system not accessible via disection, which I share similar structure to ghosts. However, the core purpose is simply to achieve balance (chinese pantagram are made of five elements, metal (gold is equally valid, though I think it means metal), fire, water, earth and wood, all five are in a sense more mundane and they induce or neutralize each other, which when combined with Yin/ mortality, but more than death and Yang/spirit creates the dynamic that governs more modern Chinese Medicine. Through subtle steps the body can be altered to match specific structures), Alchemical or otherwise. One of my hopes is to find a substitute system to force cells to structure without overwriting DNA. The reasearch is very likely leading to cancer for me, though. By introducing a counter that terminates the rapid celluar reproduction once reaching a sufficient stage, the cells can arrange in new ways. (this is theoritically within the capacity of herbology, by which I mean forcing stem cells to transform into specific cells at specific regions. The practice is also likely very damaging to vitality even if I recover from the cancer, intended or otherwise) However, crossing the line into making new protein is practically impossible since a it overwrites DNA, and it went beyond the theoritical scope) it requires a far more detailed and complex (since it's still applied on the same volume) procedure, yet highly achievable with nanotech. 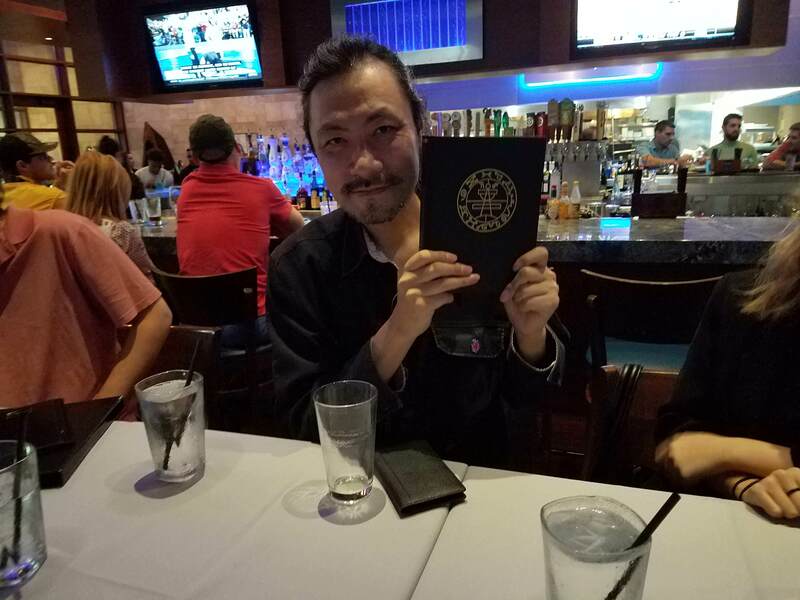 XombieMike , purifyweirdshard and others presented Iga with a special birthday gift; a beautiful hardcover book replete with lore and arcane knowledge of the Ars Goetia and The Lesser Key of Solomon, some of the inspirational sources that Iga is using for many of the demons in the game. If Gebel had completely lost it, which he may, you could even say he's the Kefka here - being the "too" successful subject of the infusion process that gets incredibly powerful but loses humanity. Also related more topically and another can of worms, recently in another thread Nezuto posited the idea that perhaps this whole curse process in the game pertains to turning them into a "human" (or living?) philosopher's stone. That would be a pretty neat and clever way to add in a very Castlevania (but not obviously Castlevania if you don't follow it) background. Perhaps not working out with the actual study and understanding of alchemy, either, but maybe an interesting path to take things. XombieMike kindly shot me that thread over on Reddit before I came over here. My paper actually includes the decryption for the Sigillum Dei. I truly wish I had found this out earlier only to have been able to place some input on that. I used to teach English in Japan, perhaps I could have had one of my Japanese friends help me provide a simple explication of what was described in the text. Yeah... the Fullmetal Alchemist thing wears a bit clichéd on me as the Faustian curse for defying nature etc. etc. Opening the gates to become a truly God-like entity has a rather fresh feeling to it only explored once previous in the game Shadow Hearts, where God is the final boss (and Lovecraftian at that). I'd quite like a take where the goals, not merely the dressing, drew on these older sources. It remains that, even if John Dee was a kindly soul, wisdom is not benign. EDIT: The Faustian punishment for using magic is a classic trope in Western, Christian-cultured history. Even in light-hearted *The Sorcerer* (My name is John Wellington Wells, I'm a dealer in magic and spells), by the same writer of 'I am the Very Model of a Modern Major General', Johnny is consumed by his own magic and is the only character who dies. I'd quite like to see magic treated more as a 'force of nature' moreso than a 'forbidden thing'. It's the motivations of man that really are where the horror lies. I thought earth gods (sustained by mortal worship and the most powerful is the Christian God simply due to the concentrated worship on one entity and the sheer number of Abrahmic religion combined)were only on par with Lovecraft Mythos and you need universal reality warping to fight an outer god, who are worthless aginst the dreamer. Japan was the last place untouched by Abrahamic religion at this point, and as long as you don't try to be actively malicious they will respect someone who study arcane. They also have more research in herbology compared to China. Guess the naytheistic ancestral worshipping China is just a withering memory now. I apologize for my lack of response to your posts. Unfortunately, my focus is solely on the Mediaeval and Renaissance Western Esoteric practices and the texts, history, &tc. related to that era and that oeuvre. I branch out a touch to those concepts that relate (which is a surprising number), but when it comes to these things there is no authoritative primacy of perspective that can be stated as 'fact' over another. While science in the West found its beginnings there, and even moreso than 'Big Science' is wont to admit, they've napalmed every correlation and connection they possibly can. I tend not to mince opinion the matter of belief and am a bit of an iconoclast in my field for studying what I study from a measurable perspective (science-based/physics/and citing primary sources and scholarly texts that are well-received). Forgive me if I simply have no response to offer on your input. It is not that I don't appreciate the perspective, it's that I am not wont to make statements that can be perceived as challenging someone's personal beliefs. Johannes manipulated Alfred and the other alchemists into creating these crystal harbouring bodies of Miriam and Gebel, his goal is to unite them so they can create, or become the alchemical magnum opus, Rebis, the divine hermaphrodite. To what ends I am not yet sure, I think he wishes to save mankind through knowledge of the divine, maybe recreate Adam Kadmon? I have yet to play the beta but I am starting to think that Johannes is working with Dominique, or the church... Mostly I am hoping that it will not be another "Search for the Philosophers Stone" story, but instead it is a misguided attempt to save humanity. After all, it's an alchemist's sacred duty to prove perfection is attainable. Wasn't trying to go the FMA route with it or anything, was more or less pointing out that it's a possibility, given how that stone has always been considered one of, if not the primary end all goals for true alchemy. I worry about the cliche and it being overplayed, as well, but it was merely an observation. Surely, the power of such a strong catalyst could be but one of the focus's for Gebel and the possible true big bad? The stone wouldn't have to be the final destination, just part of the journey. The Philosopher's Stone was called 'red sulfur' and considered to be a red powder in near all sources that actually describe it. It's more or less a byproduct of the alchemical operation and also the miraculous substance that catalyzes the change from lead to gold (or silver). It was one of the three miraculous substances being the Lapis Philosophorum (the agent of universal change), Alkahest (the universal solvent), and the Panacea (the universal remedy). As far as the claims of immortality, I theorize the Philosopher's Stone was meant to catalyze also the change from mortal man to divine being (angel, daemon, etc), not unlike the Ambrosia of Greek myth. Those last ones are eye-rollers. The Corpus Hermeticum, the Asclepius, the Sefer Raziel Ha'Malakh, the Hygromanteia, the Liber Razielis, the Picatrix, the Liber Juratus, the Clavicula Salomonis, Liber Officiorum Spirituum, the Livre des Esperitz, De Pseudomonarchia Daemonum, the Lemegeton Clavicula Salomonis (Ars Goetia, Ars Theurgia Goetia, Ars Paulina, Ars Almadel, and Ars Notoria), De occulta philosophia in libri tres, the Heptameron, the Arbatel de magia veterum. From Dee, the author of the Liber Loagaeth proper: Libri Quinque Mysteriorum, the Liber Mysteriorum Sextus et Sanctus (the Liber Loagaeth), the Compendium Heptarchiae Mysticae, the Heptarchia Mystica, the Monas Hieroglyphica, the Tuba Veneris, and then the deriding True and Faithful Relation which is like a 'sequel' to the Libri Quinque Mysteriorum delivered by 'the opposition' which colored Dee as an unwitting villain that has been argued to be the inspiration behind Faust. This is off the back of my hand, so some other sources may be missing. Many of these are freely available to be read over at www.esotericarchives.com. Back during my time working on my Master's, I served as an admin under their Archivist, Khem Caigan, back when they used to have a chat to help folks understand the linkages. Sadly, trolls made the whole thing not worthwhile. Perhaps also worth a look is the Orphic Hymns, which details the notion of the 'Chain of Being' used. Those magic incantations are the descending 'hierarchies' of entities that drop down to the entity one wishes to contact based on whatever sources being drawn on (to see the dizzying and conflicting attributions, see: www.esotericarchives.com/solomon/nameindx.htm). The 'later' books aren't of relevance: The Grand Grimoire, the Grimoirium Verum, The Gospel of Satan, the Oera Linda, or any of that crap. Anywho, there's some reading that I don't suggest doing aloud. I have no idea. Honestly, the sensationalism and frankly unethical concepts portrayed only have the dimmest echoes of the noble aims of the sources from whence they drew their inspiration. They claim to be Renaissance books, but were in fact written in the 1800s. The Grimoirium Verum (18th century) is the only such grimoire I own, and even the 'symbols' used can at best be described in some cases as chaotic scribblings. You start to see reaching claims of antiquity in these books where they claim to be written in the high Renaissance, but come from the Enlightenment or Industrial Revolution when such ideas fell to the wayside with the acceptance of Cartesian Dualism as the prevailing means of parsing reality. Everything after that is heavily 'psychologized' and you start to see the 'reality is perception' wildness against the nobler attempt to seek for understanding of the natural world. I regard folks who take such books seriously with some amusement, and admittedly a tinge of fear. EDIT: A side story: My friend and (though he denies such a role) mentor, Khem Caigan, was actually the artist of the Simon Necronomicon. His feeling were mixed, it seemed, on that. He claims ownership of his work, but was always open in stating it was plainly a hoax that no one should ever have bought into. Regardless, the money he made off of it saved his life when he ended up unexpectedly homeless in New York.